Developing markets offer goods and services for developing lands. Goods are in demand by countries once unable to afford durable goods. Manufacturers are courting consumers of these nations and their newfound wealth. Consumers are offered different avenues for shopping, placing pressure on sellers to work harder to draw and hold present customer base. This requires consistent improvement of retail logistic strategy and solutions. Retailers and manufacturers are using multiple currency applications and better merchandise supply lines. Supplying a reliable product the first time around is more important than ever. Merchandise reaches customers in a few days rather than weeks. Sellers competing with businesses with local distribution networks must search for benefits that set them apart and give a buyer a motive to wait extra time for merchandise. Companies refusing to recognize the way money is moved from one global point to another cannot operate effectively. It is more important than ever to have a reliable logistics backing in todays “instant gratification” culture. The internet launched a major change in retail logistics. Those realizing the advantage quickly took primary spots in front of the consumer, such as Overstock and Zappos. 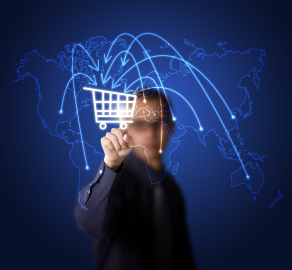 The introduction of internet purchasing changed retail logistics even further. Businesses operated by one person or small groups are now able to advertise and sell to global markets, ship merchandise and cut into a percentage of the GDP. Globalization is a possibility for anyone. 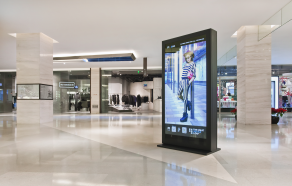 Internet shopping is increasingly done more on mobile devices. The most recent trend is new source in mobile technology: shopping apps. Customers can download shopping apps on phones and checkout with any number of payment options. Prosperous businesses have fallen along the wayside if they haven’t yet adopted this technology. More than 50% of online shopping is currently done through mobile apps. Future expectations expect the present 4 billion shopping app dollars to expand to a fast 200 billion. Presently, 78% of people searching with a mobile app make a purchase. Companies around the world now have access to major transportation outlets. The ability of companies to ship small and large loads economically from every part of the globe allows any merchant to transport goods. Merchandise is constructed, stored, packaged and shipped in a refined operation—specifically when outsourcing logistics needs to a third-party logistics (3PL) provider. Logistics providers offer retailers and customers peace of mind by providing currency alternatives, inventory management and product tracking. When it comes to retail logistics practices, this is a selling mechanism. A reliable 3PL can provide customers payment arrangements that suit their bookkeeping methods that ultimately aid in sales. In large business operations from developed nations, owners may know how long merchandise will take to get to a destination as well as transportation cost and has a strong network of carriers and 3PL’s to manage products. The use of a 3PL provides manufacturers from less well-known destinations the opportunity to compete in an economy once dominated by larger countries and allows larger businesses to maintain control. Access to information allows buyers to reach into a new pool of prices. Older manufacturers may be able to present a lower price of quality merchandise but others may sacrifice profit to break into the market. A smaller company may have less overhead enabling it to compete with mainstream producers. Knowledge of the market that consumers work and buy merchandise in is essential. Reliable export and packaging information can be easier to find. This added step helps trust in dealing with a provider of merchandise and is an asset in retail logistics operations. Material handling, production, packaging, inventory, warehousing and security are all important aspects of retail logistics. If a retailer’s freight is not distributed and delivered with accuracy and safety, they risk the cost of operation and profit. 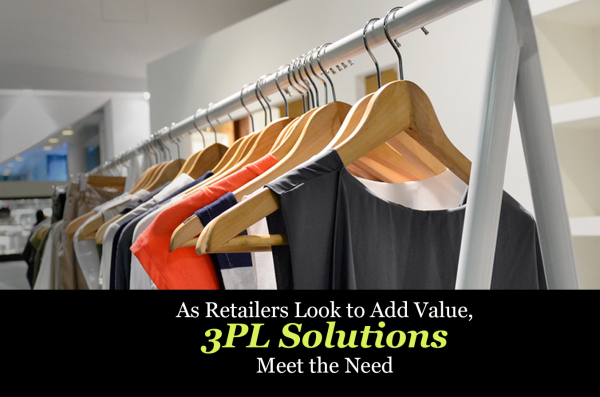 Retailers can rest assured that they are maximizing productivity and profit when employing a third party logistics (3PL) provider. STC Logistics specializes in reliable retail logistics, export assembly services and import distribution solutions that can ensure an efficient supply chain. Whether coming from multiple vendors or going to various destinations, from inventory, warehousing and delivery requirements, STC Logistics warrants product to its final endpoint. Click below to learn more about our fast freight retail shipping services! 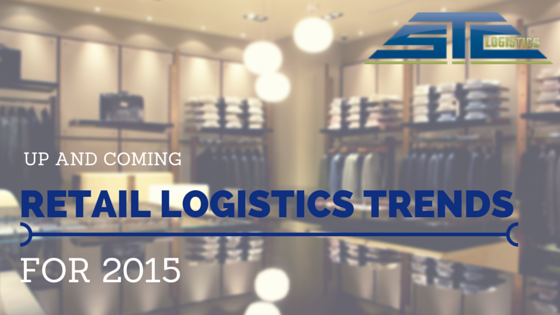 To receive updates for our logistics blog, subscribe at the top of the page!